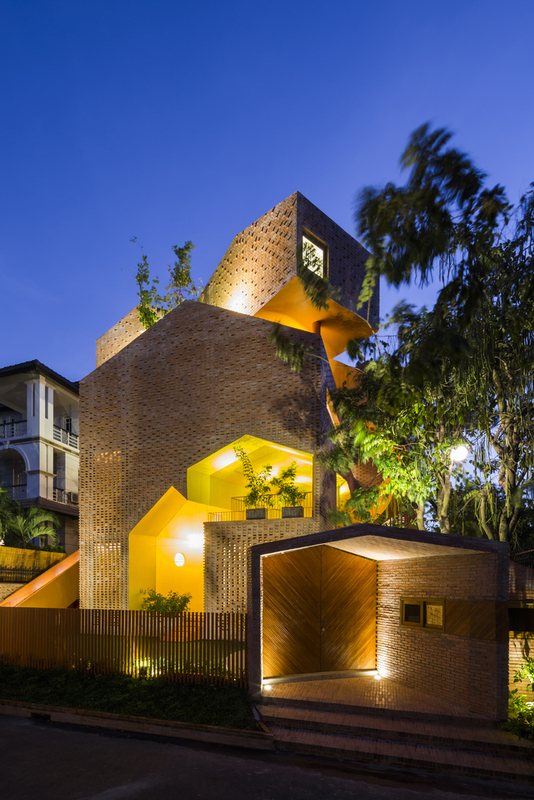 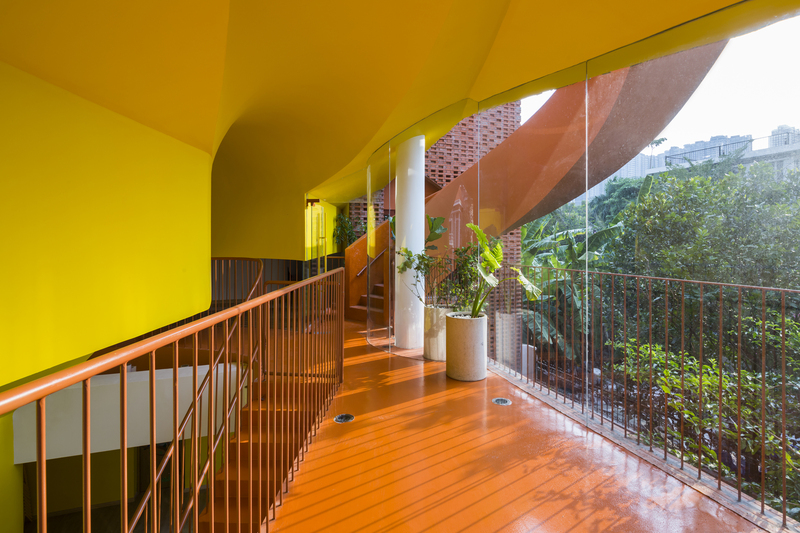 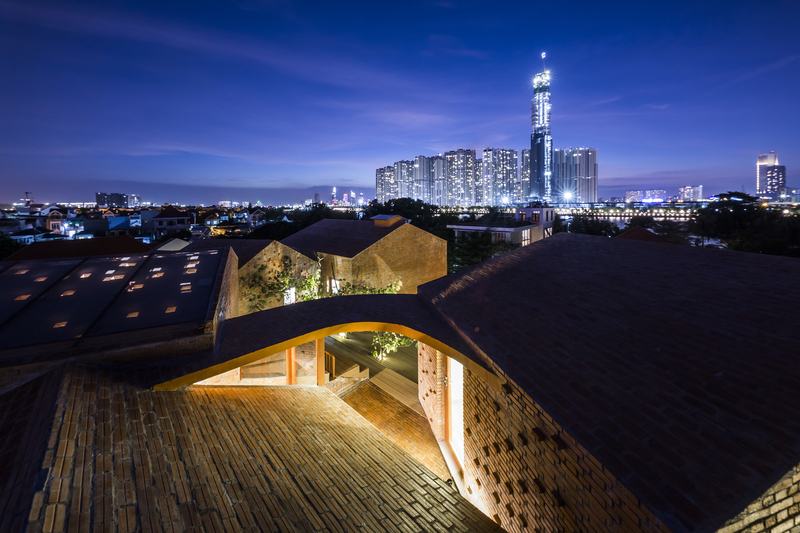 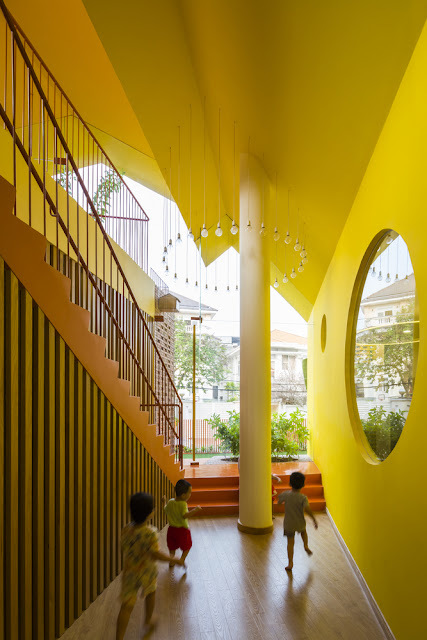 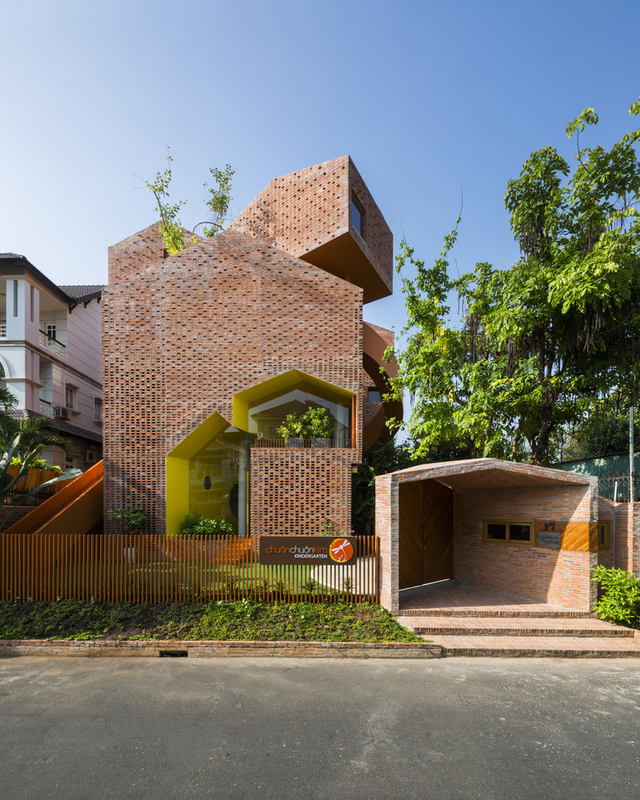 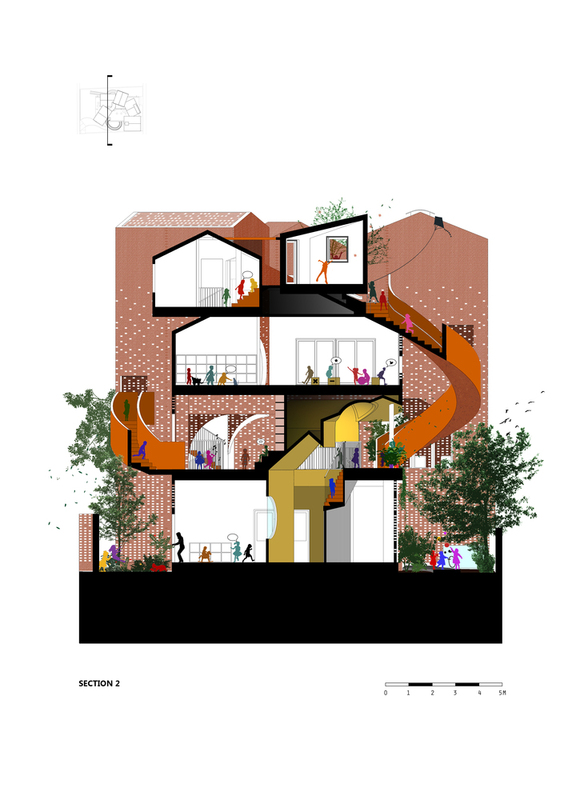 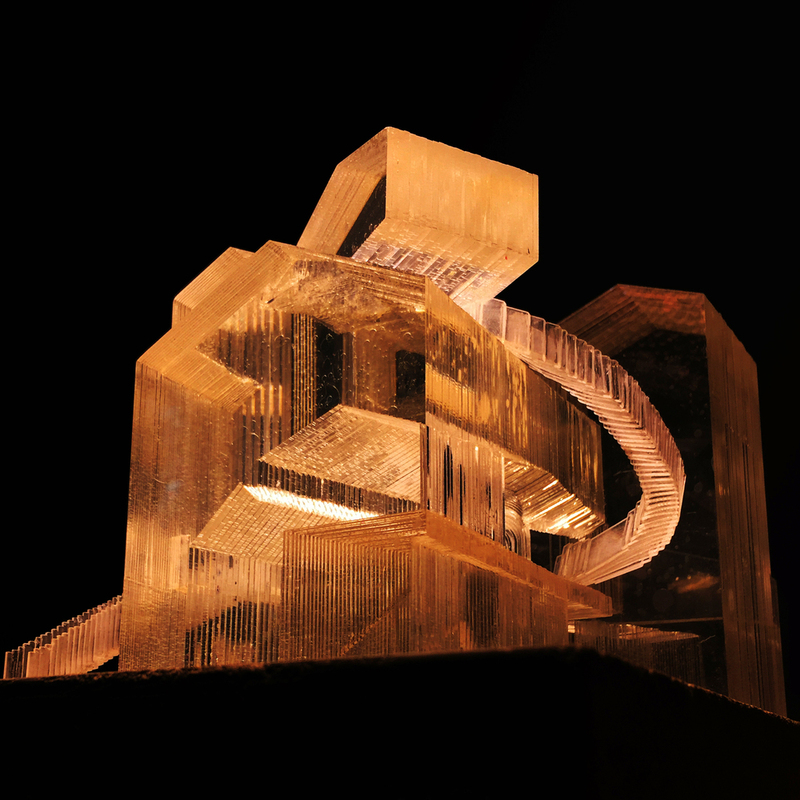 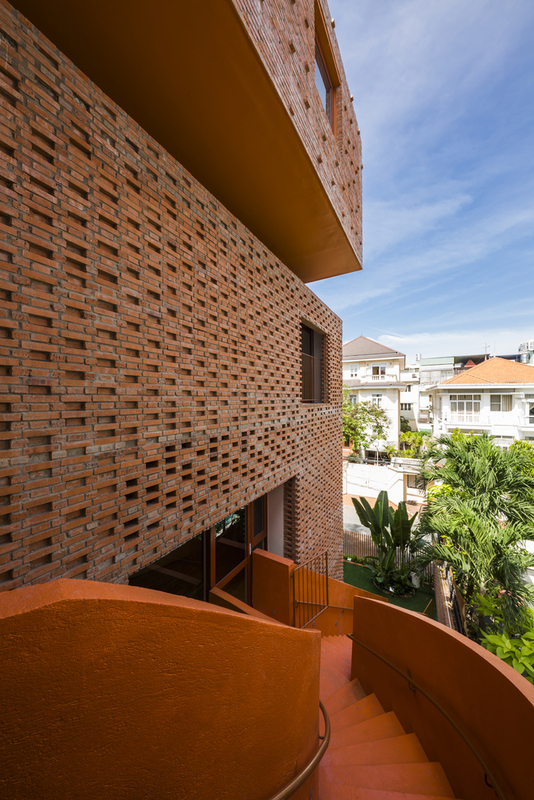 This beautiful kindergarten design project was developed in Ho Chi Minh City as children's educational space that stimulates and captivates meaningful meaningful and inspirational cross interactions amongst the adult and the children. 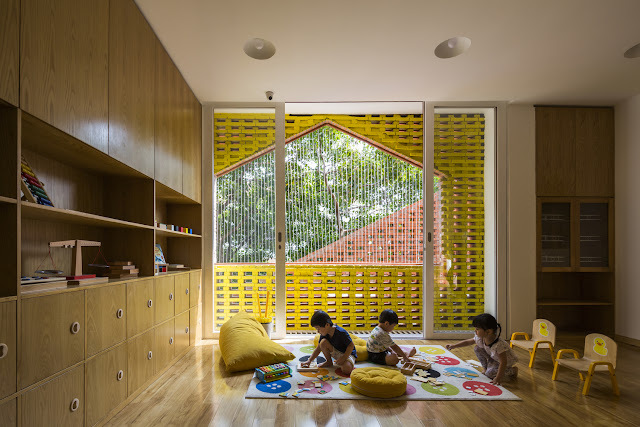 Environment within the school contains an openness and a conscientiousness with a spark of curiosity that can allow people of all ages to explore the kindergarten space in calming and relaxing atmosphere. 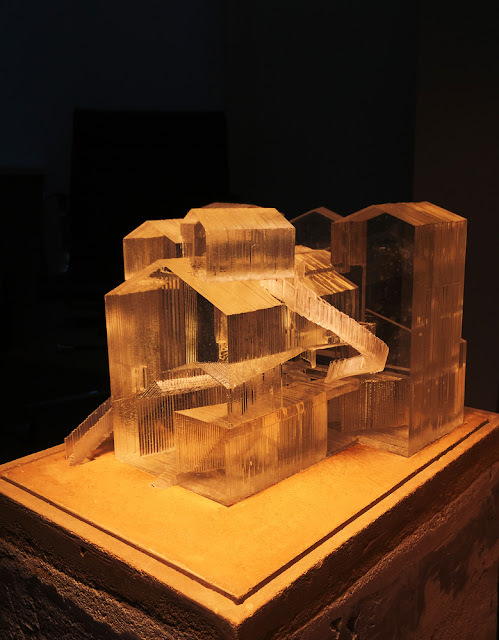 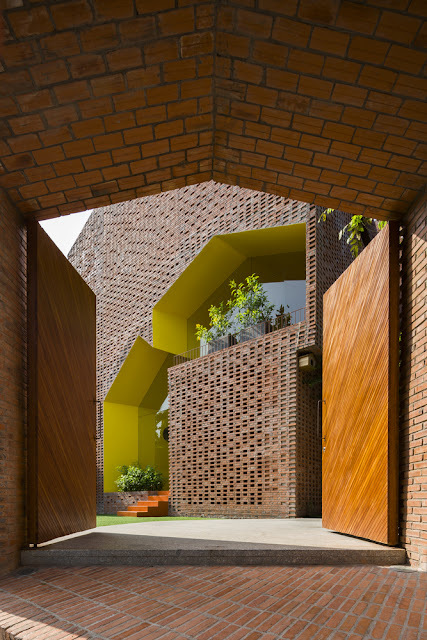 As Kientruco has engaged in numerous projects in educational sphere, architects recognize that past experiences and acquired skills are equally as important and valuable as the responsibility of nurturing the kids. 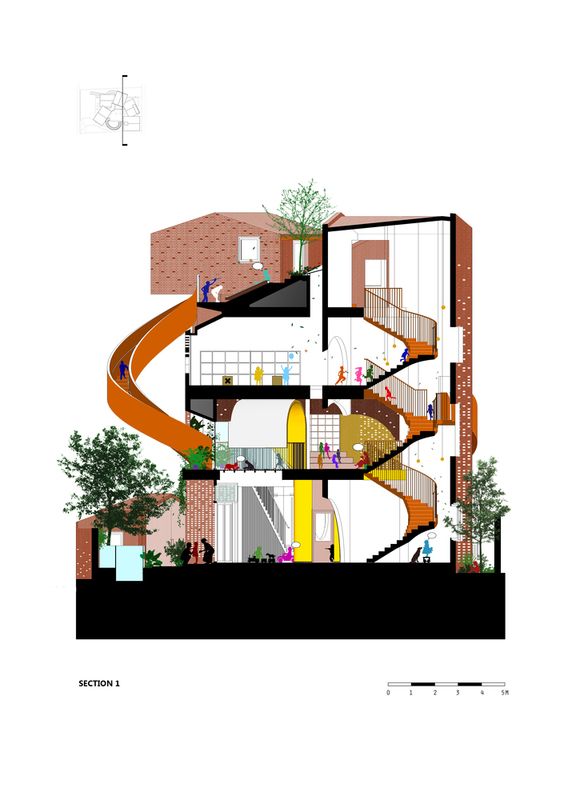 This activity invokes an interest within the staffs and the teacher, and a sense of pride. It embraces and inspires them, for that they have chosen to dedicate their lives to the well-being of the children and to the education process on a daily basis. 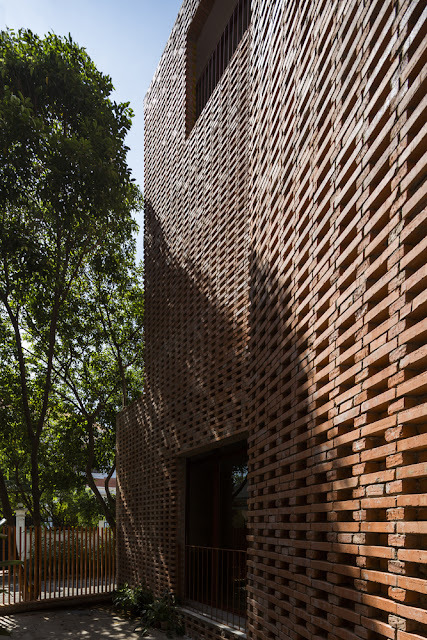 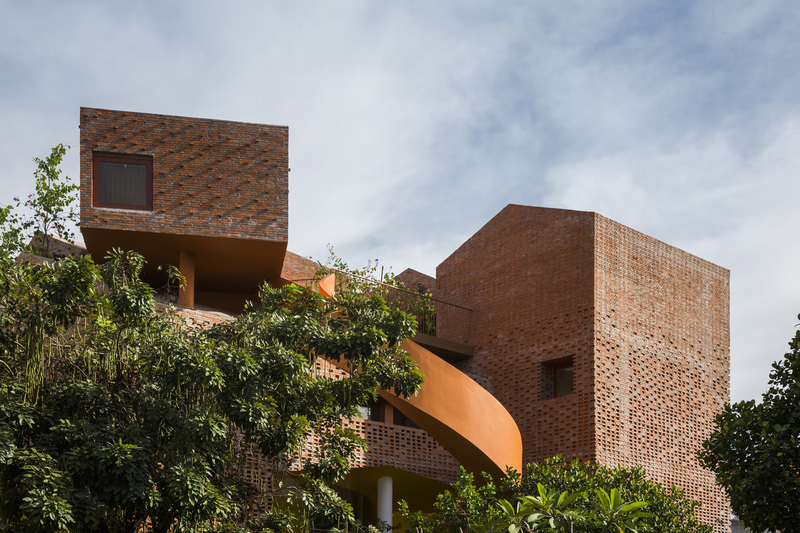 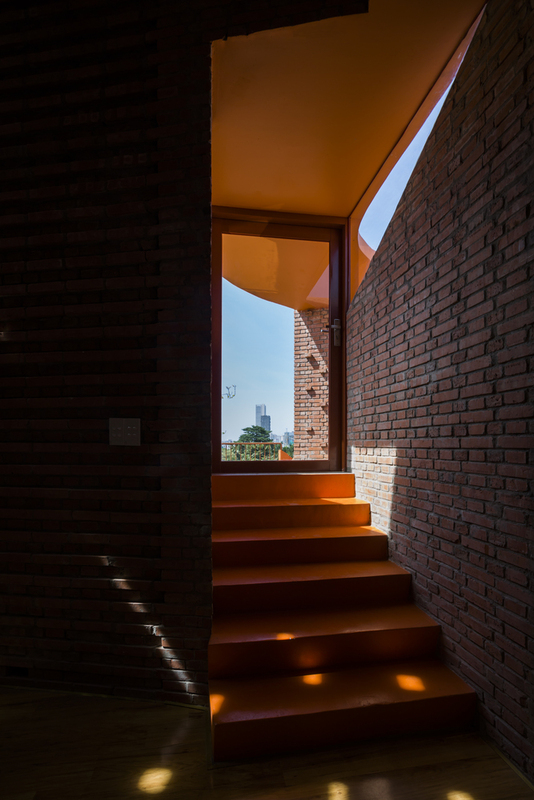 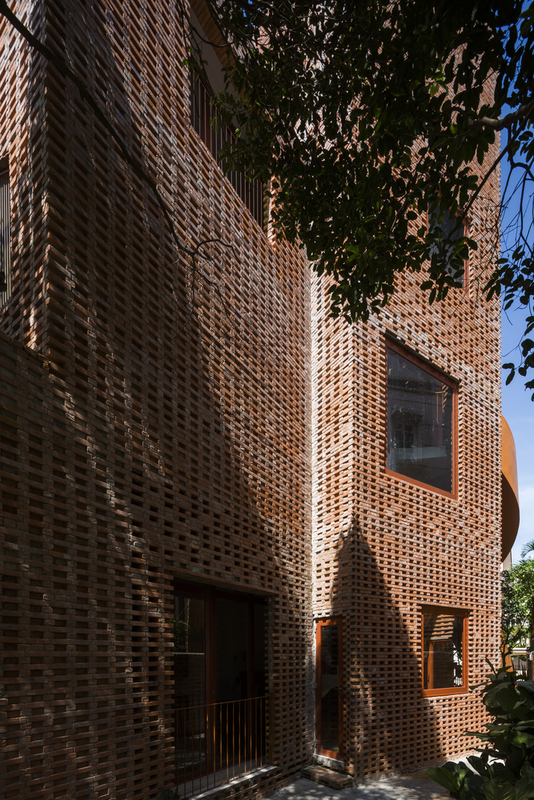 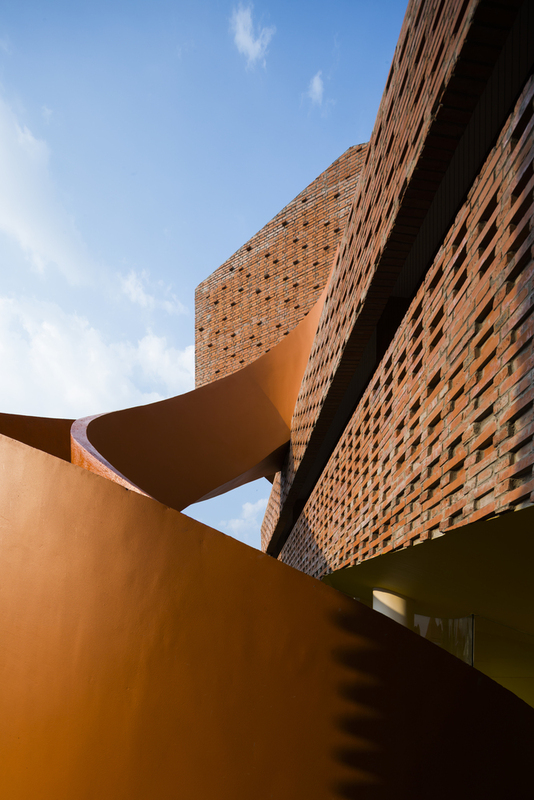 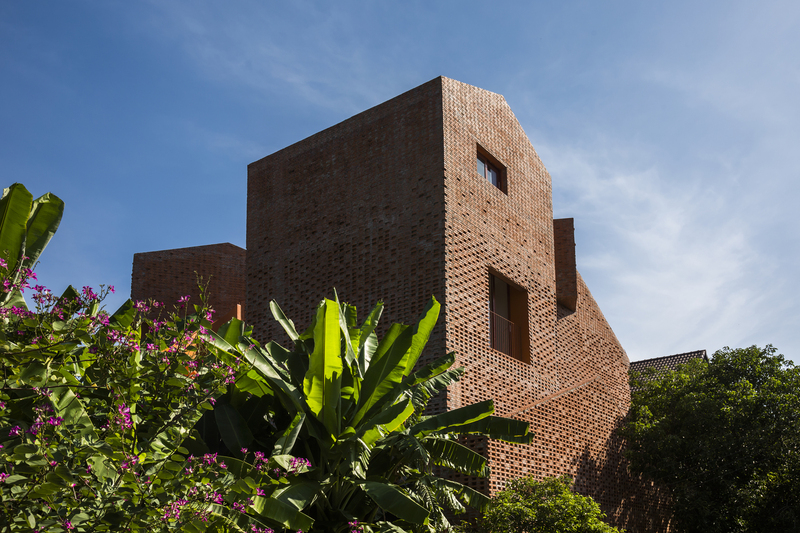 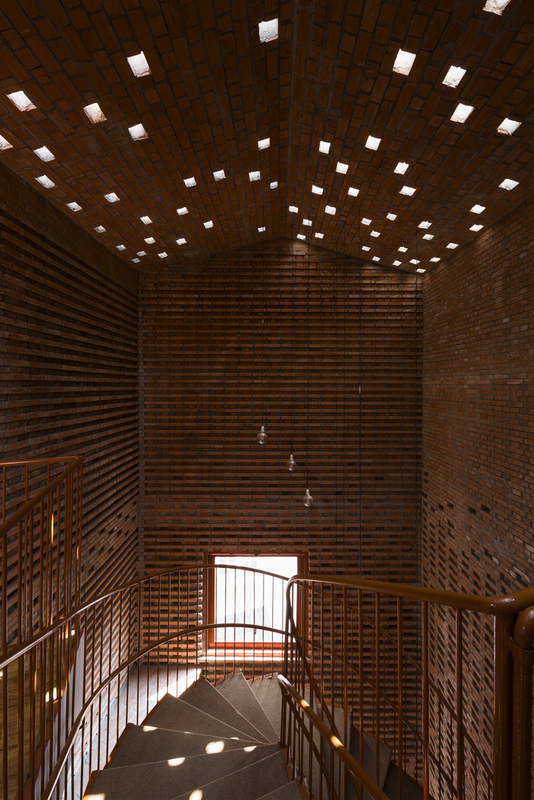 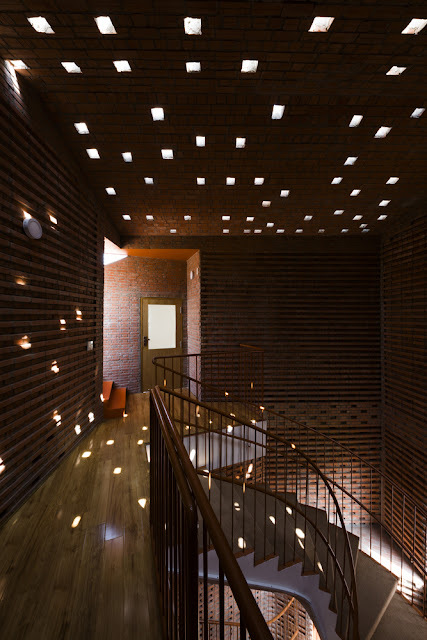 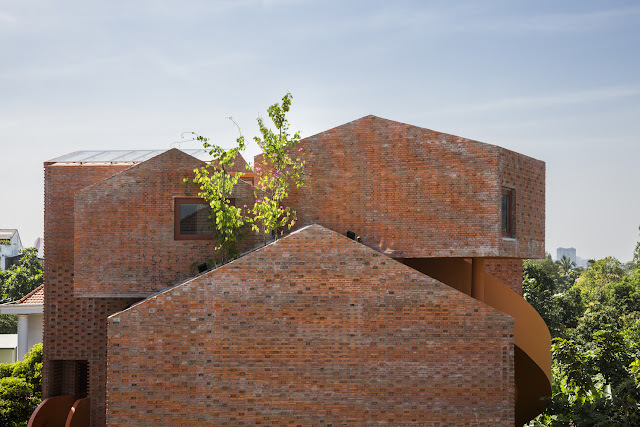 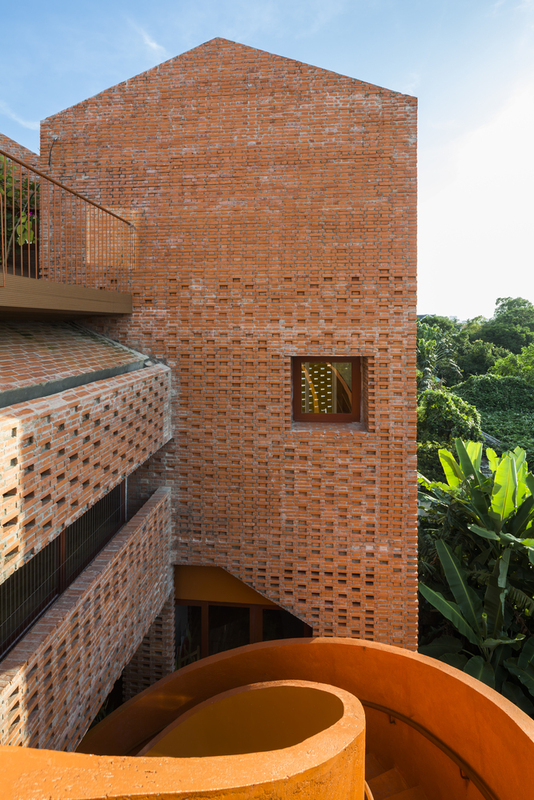 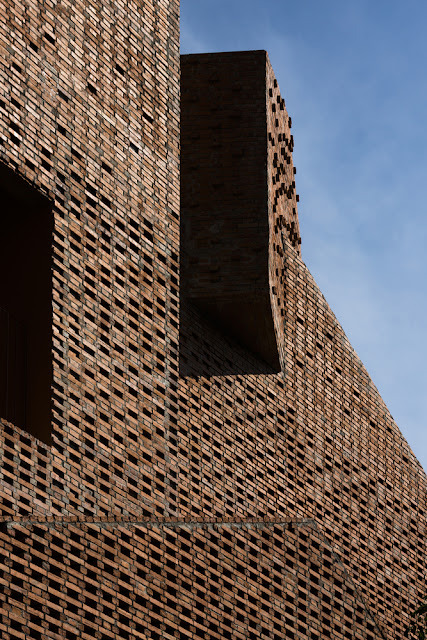 Like a building from a giant Lego's, this beautiful kindergarten design project is designed and built entirely with bare brick forming openings and patterns that are playful to the eyes, suggesting a unique aesthetic value and additionally promoting fresh air through natural ventilation. 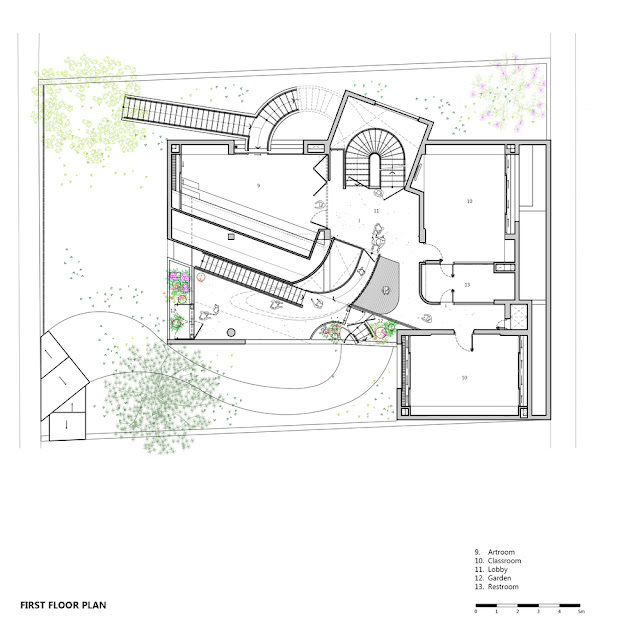 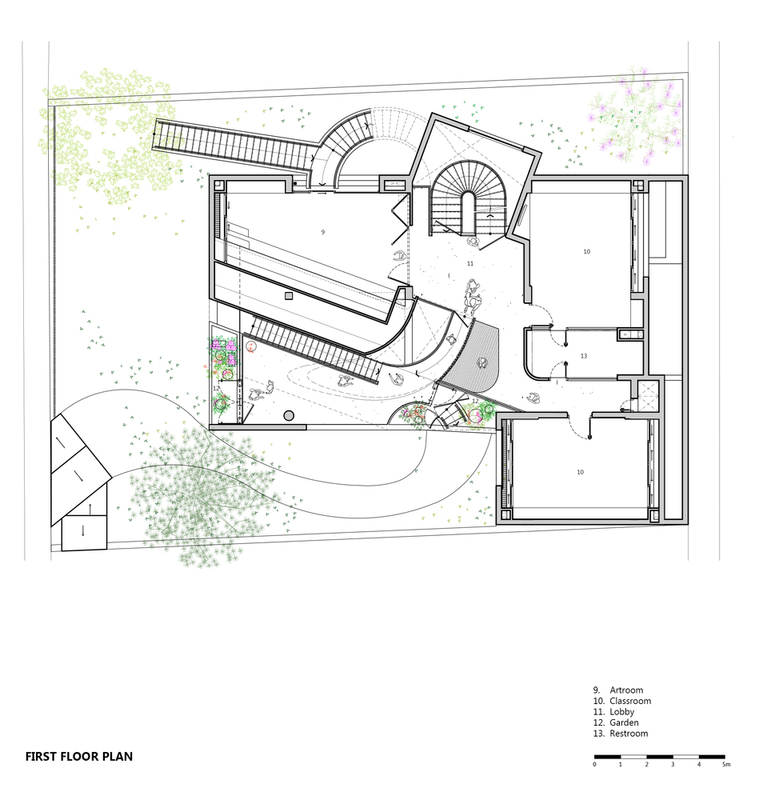 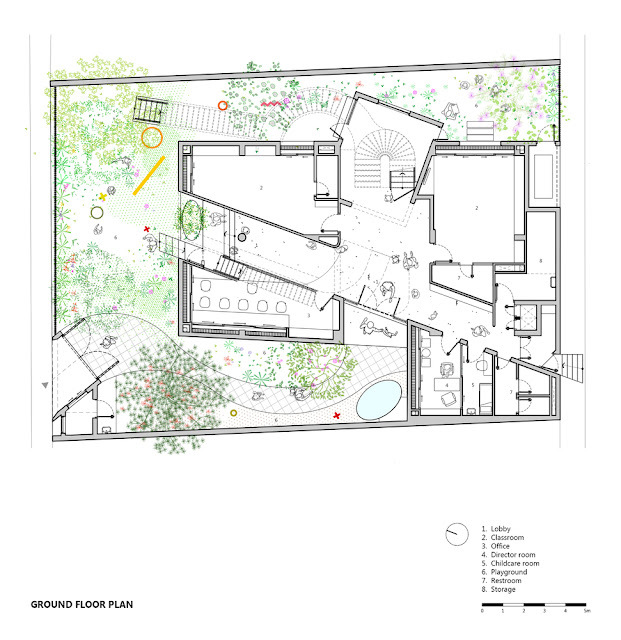 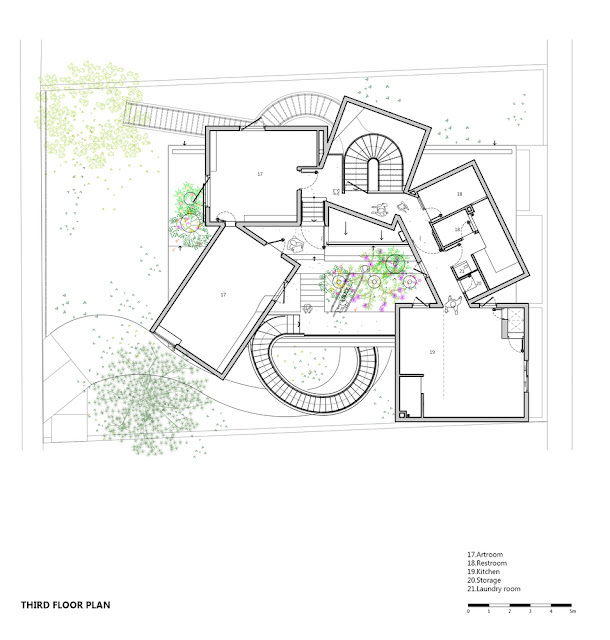 Utility rooms and classrooms are organized around a central playful core structure. 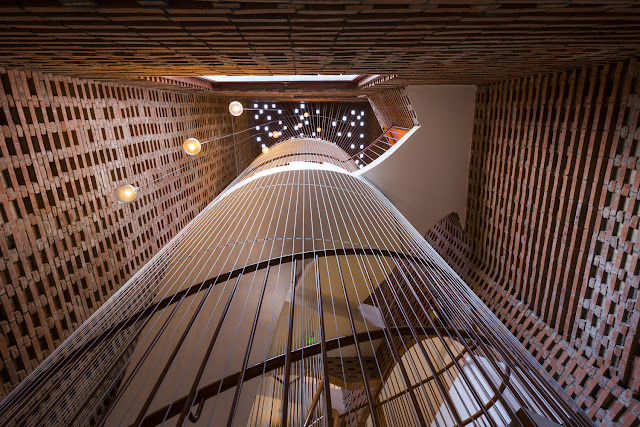 Each floor is designed in an alternating pattern to encourage children to be more receptive to their surroundings, enhance vertical interaction, and stimulate their inner creativity. 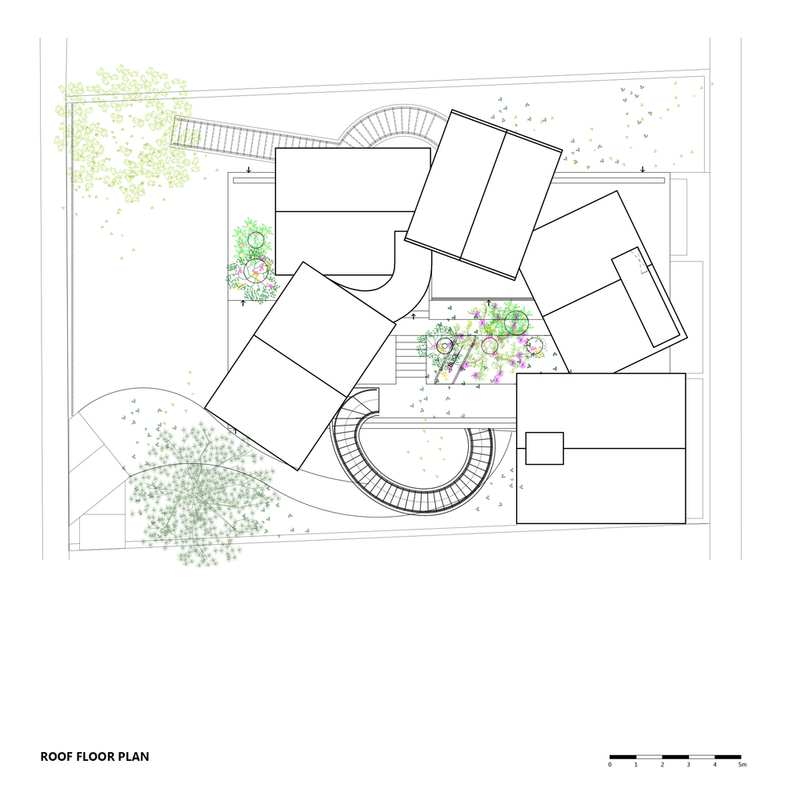 The core space is full of movement and ample, by contrast to the calming atmosphere of the classrooms. 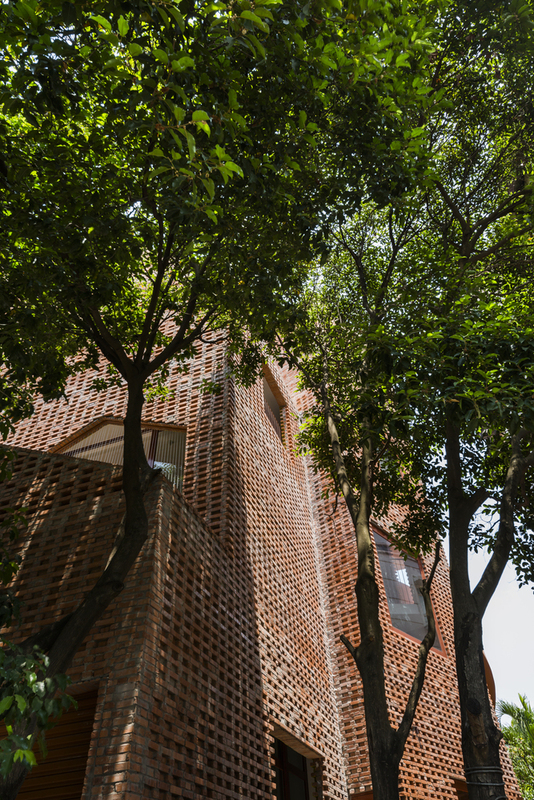 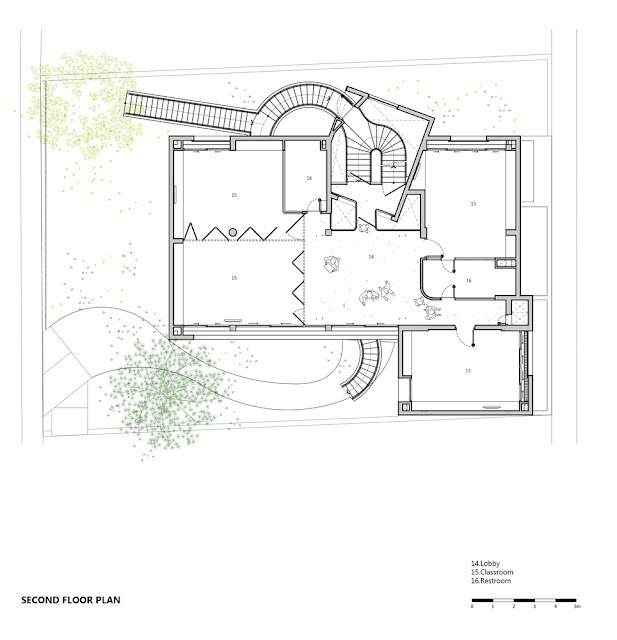 From the green garden on the ground floor, the volumes form an aperture that incases a continuous perspective that is visible from outside in and inside out. 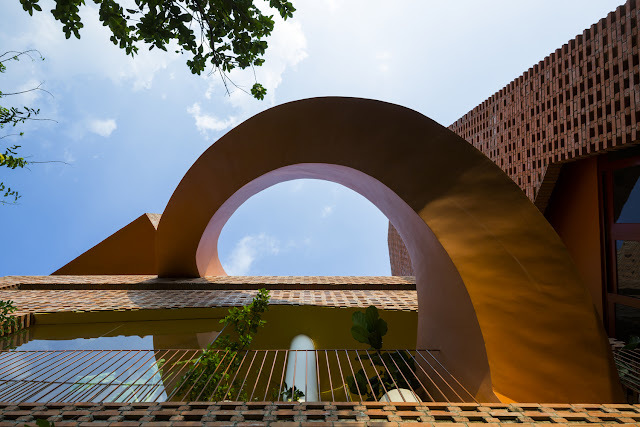 Continually upward, the interior spaces connect to an open rooftop garden, waiting to be discovered with a rewarding experience of the infinite vista of the Saigon river. 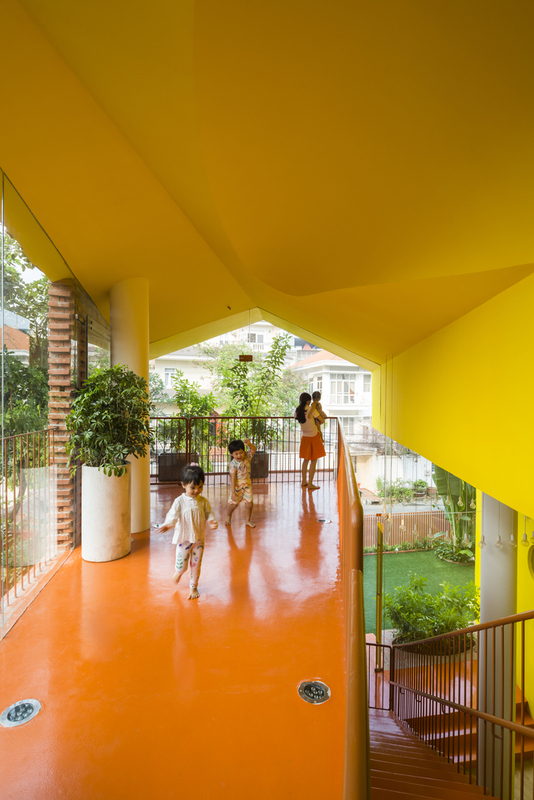 The journey of discovery in this beautiful kindergarten design project is a very liberating one because of the continuous changes, and the endless experiences that are tailored personally to each space. 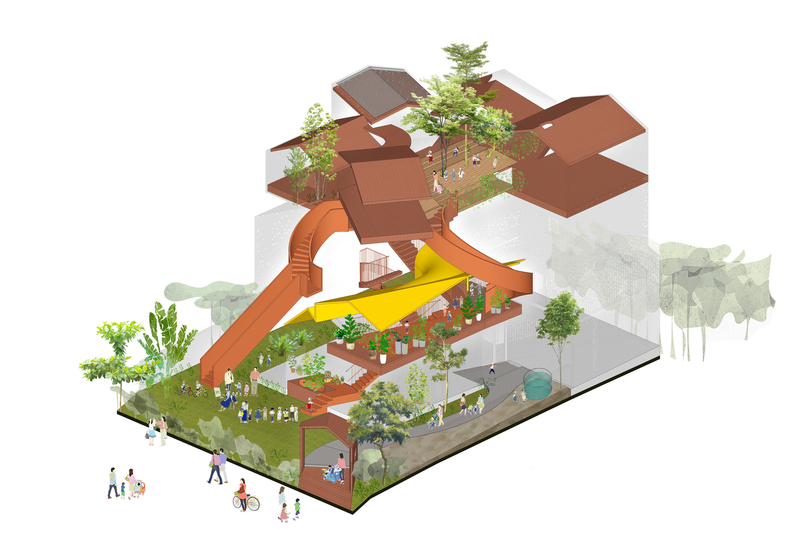 Conclusively, Chuon Chuon Kim 2 Kindergarten is a place of surprises that will never cease to tickle the curious souls, children and adult alike.